Quick note: I have some photography printing workshops coming up over the next few weeks. If you’re in the Calgary area and would like to begin or further develop your printing, read or jump to the bottom of this article for workshop details. 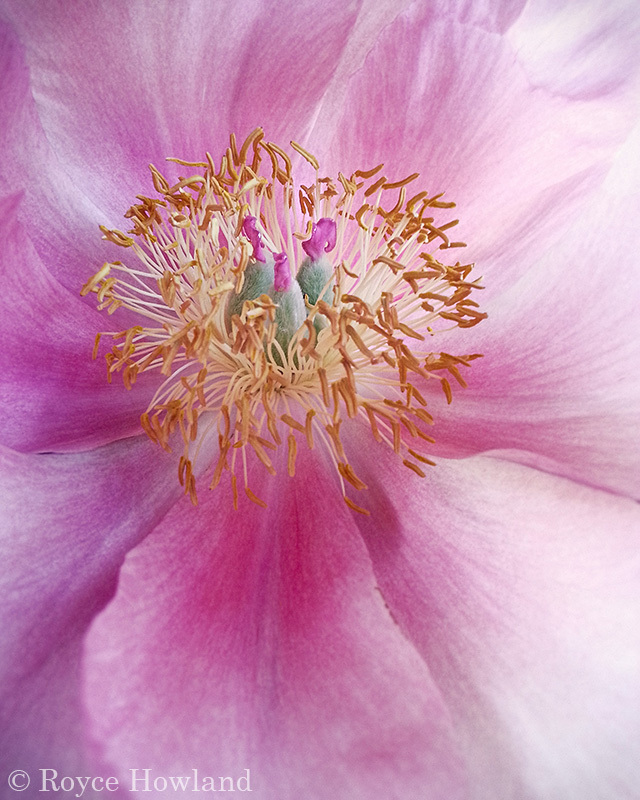 This is a closeup photo of a poppy, taken with my smartphone’s camera. I carry it around on the phone to have something bright, cheerful & colourful to look at from time to time. But printed, the appeal is different. It’s more like a delicate watercolour; still colourful but to me it feels a bit more wistful. Over at Marko Kulik’s Photography.ca site, I’m happy to say there’s a new entry in his podcast series. It features an interview with yours truly, where Marko and I talk about how big digital photos can be printed, and some of the things that influence that choice. If you’re new-ish to digital printing and have sometimes wondered about making bigger enlargements of some of your work, you might have been held back if you’re nervous when considering the cost and whether the final results will look good. There are some guidelines that can give you a measure for sizing a photo that you think deserves to be seen in a larger format. Hit the link and have a listen to Photography.ca podcast episode #122 — How Big Can I Print that Photo? Wondering about how big a photograph can be printed kind of begs the question of printing it at all. I mean, doesn’t putting some ink on paper and hanging it on a wall seem pretty archaic in the modern digital age? I’d like to use this post to throw out some thoughts on the subject. I’m all about the digital, but I’m also a big fan of going old school to print on paper. I’m the first to admit that, as photography goes, I’m definitely a product of the digital era. I never photographed film other than as a young kid goofing around with basic 35mm, Instamatic and Polaroid cameras. Nor did I spend any time developing or printing in the traditional darkroom. So I don’t have any natural bias towards printing that would come from a history with film. After 30 years of working in information technology, I’m also very comfortable in the digital darkroom. My photographs all start digital (for now) and I develop them on a computer with a big screen. Image processing software has brought me an amazing array of creative controls, and digital has allowed me to ramp my learning curve as fast as I want to. I definitely wouldn’t trade away my digital workflow. Along with digital photography, we have the Internet with its massive array of blogs, online portfolios, image sharing and social media sites. The Internet is a massive learning library, and also gives a photographer unparalleled reach in distributing digital photos. For the photography viewer, the net delivers a true abundance of new photos to find with ease. What’s not to like? Well, I have a confession… the more I work with photography, the more I think we’re missing something if we experience photographs only in electronic form. What’s the missing link? I believe it’s two sides of the same coin: having a ton of complex and distracting technology involved in my experience of a photograph; and losing out on the simple pleasure of being able literally to get to grips with a photograph when I can hold it in my hand or regard it presented on the wall of the space where I live. I’m talking about prints, here. Not smartphones, tablets or digital frames. Even these new, portable image display devices are immature for photo presentation purposes, and they don’t cut it for me. Perhaps because I’m so aware of the underlying technology, I find that looking at photographs on any kind of screen feels like I’m getting the experience second hand. It feels less real somehow. I know a lot about technical matters like bit depth, color gamut, compression, angle of view, pixel density, glossy vs. matte, refresh rate, LED vs. CCFL and a host of others. My digital tools and workflow give me incredible power managing and working on my photographs… but for experiencing them? Not so much. It’s like I’m experiencing at least as much about the technology as I am about the photograph itself. A screen has a stack of tech behind it that delivers an image. I know the technology, but I don’t warm up to it; I find it fairly cold and mechanical, and those qualities can create overtones. The wrong side of my brain is being engaged, the one that’s all about logic, process and analysis. Plus, all of that tech needs to be set up properly and working well to show an image in a reasonable facsimile of what the artist intended. If it’s not all working right, who knows how a photograph will look on any given screen. Technology often drags a lot of other distractions along with it, too. Our fast-paced, infotainment-consuming culture – which is heavily enabled by technology – encourages us to have a kind of attention deficit disorder. I know I’m generalizing, but I’ve been around long enough to see that we seem to be increasingly conditioned to consume electronic media in little snippets, and click through quickly to the next thing. Thoughtful regard over time seems rare, replaced instead with small, quick jolts of something new, or whatever the latest “viral” share is this minute. We watch briefly, and maybe hit “like” or “+1”, but after an hour it’s all quickly forgotten. I didn’t need to read very much Marshall McLuhan to get one of his key points: “It is only too typical that the ‘content’ of any medium blinds us to the character of the medium.” Believe me, digital technology has a character, for both good and not-so-good. In the end, I’ve concluded, technology gets in the way of me really seeing photographs the way I want to see them. Something is missing. A customer remarked that a large print of this scene reminded her of sitting with her son at this lake in Banff, watching a sunrise over this same log on a similar misty morning. It was a good memory. I like the photo, but have to admit a small version on a web page isn’t nearly as evocative as the print. A photograph in print changes the equation in a big way, I believe. That’s why I’m a big fan of old school paper. First, prints command attention. Most of us have limited time, money and wall space, so working with prints immediately brings the need for selection and choice. Only a small number of prints can get onto my wall, and they cost me something. Because of these characteristics of choosing, cost and scarce space, I pay more attention to prints. Only ones that I think are meaningful are going to get up there in the first place. Once they do, because I’m paying attention, those photographs may become even more meaningful, perhaps in ways I didn’t originally expect. Second, unlike looking at images on electronic displays, a print places the thinnest technical layer we’ve yet discovered between me and a photograph. A piece of paper is one of the oldest technologies in human experience. While modern printing is itself going heavily digital (though traditional methods remain alive), nobody really thinks about the production process or technology when looking at a good print on paper. We just think – wow, that’s a great photograph! Perhaps we’re moved by the power of a scene, or relive personal memories, or get caught up on a moment of imagination. Whatever our response, we think mostly about the photograph and what it means to us. I find in my case, the other side of my brain gets engaged when I’m looking at a print. I respond to it more with intuition, subjectivity, creativity and emotion. Third, prints let us develop our experience with a photograph. Electronic images come in an endless deluge, and just as quickly scroll off the bottom of the screen, usually never to be seen again. For the most part, we don’t ever live with them. We may look at electronic images, but from what I can tell we don’t often take the time to read or experience them. With a print, we have the opportunity for experience to build up hour after hour, across each day. We live with a print through the different qualities of light, weather and seasons. We can think about it in the different states of mind we go through as life happens. In short, we get to know it. To me, these kinds of qualities describe the way I want to live with photographs. Especially when I think about photography as an art form, I’ve come to feel that experiencing photographs only on a screen is too “virtual”, a computer software rendering of something instead of the thing itself. I don’t want a rendering of art, I want the art! If I loved paintings as much as I love photography, would I be content with an 800 pixel version of the Mona Lisa glowing on my smartphone, or would I take the real Mona Lisa hanging on my wall – if I could get it? Would I be happy forever with a screensaver app that flipped through the French Impressionists every 60 seconds on my desktop background, or would I prefer just one canvas on the wall – maybe Monet’s Woman with a Parasol or Renoir’s similarly titled Woman with a Parasol in a Garden? No, give me the real thing from a Renaissance or Impressionist master, every time! And I could say exactly the same about prints of great photographs over the years. Looking at Edward Steichen’s The Black Canyon as a small web image pales in comparison to the real thing. As a thumbnail-sized digital image, I might not look at it even for a few seconds. But seeing it as an original print “live and in person”, it was one of the most powerful photographs I’ve been fortunate enough to experience so far. A gentleman purchased a print of this scene. Even though he saw it online originally, it connected with him to the degree that he “had to” have a print for his house. I appreciated that tremendously; it would have been very simple for him to just send a note like “great shot!” and click through to something else. In fact, “life” is a good way to think about it. As much as I use digital tools, I don’t live in a digital space. I live in a real-world space. A small collection of prints can be present in that space as I go about my life, and the effect is much more lasting than simply seeing some images for a few seconds on a computer screen, or when I glance at a status update on my smartphone. With photographs physically present in the places I live, I can consider them a lot more deeply. My real-world space is where I actually live my life, and I want photographs to sink into the space, too. Once I have a print, I can hang it on my wall, put in on my desk, slide it into the photo slot in my wallet or open to that portfolio sheet or photo book page, again and again. It’s simply there, and my experience of it is direct. When I look at a print, there’s no technology needed to serve it up. I don’t need to put in my unlock code, power it up, calibrate it, upgrade it to stay compatible, reinstall it after a crash, or replace its batteries when they die. A print simplifies my life with that photograph. After thousands of years living with the “technology” of paper, we’re so familiar with it that I think we’re not even really consciously aware of it… and for me that makes for an excellent medium in which to present photographs. It’s just us, the photographs and whatever they mean to us. To my way of thinking, the real proof of a photograph is in the print. In some ways, a photograph doesn’t live until it’s printed. An electronic image is just a template of what a photograph could be once it’s born; the print is the real photograph. For me, printing photographs is about getting them out of the dusty digital shoebox where they’re rarely seen, or out of the cage of the electronic screen where they’re paraded in a zoo-like stream of 2-second snippets. Printing is about getting photographs back into the world where people really live. It’s about getting quality time with a choice number of photographs that are meaningful art objects in their own right. It’s about living with moments in time that have their own physical tangibility that I can touch and experience… even as I look at what is depicted, taking in and relating to whatever stories those photographs tell. If you have photographs you want to experience instead of just click or swipe through, get them as prints and put them up where you live. If you’re a photographer who hasn’t really printed much, you may find printing your work, and living with those prints, will give you a whole new perspective on what you photograph and how you do it. Maybe even why you do it. Digital technology has brought a tremendous explosion of creativity and accessibility to photography. But not everything new is the only good thing; and not everything old school is obsolete and ready for the junk-heap of history. Yes, there’s a lot to learn in printing, or even in selecting a good printing service; and there are some costs. But I believe the pay-off is totally worth it. Printing a photograph puts life back into the photograph… and puts the photograph back into life. Vive le papier! Print that photograph! Do you print your photographs? Or do you have prints of photographs in your house or office? If so, why? If not, why not? I’m not just passionate about making my own photography, but I also have a lot of fun teaching how and why I do what I do. I have several printing workshops in the Calgary area, coming up over the next several weeks. If you’d like to get more into the world of digital printing, check out these links and see if there’s something that appeals to you. Saturday, October 26, 2013 — The Print Experience: Improving Your Digital Prints. 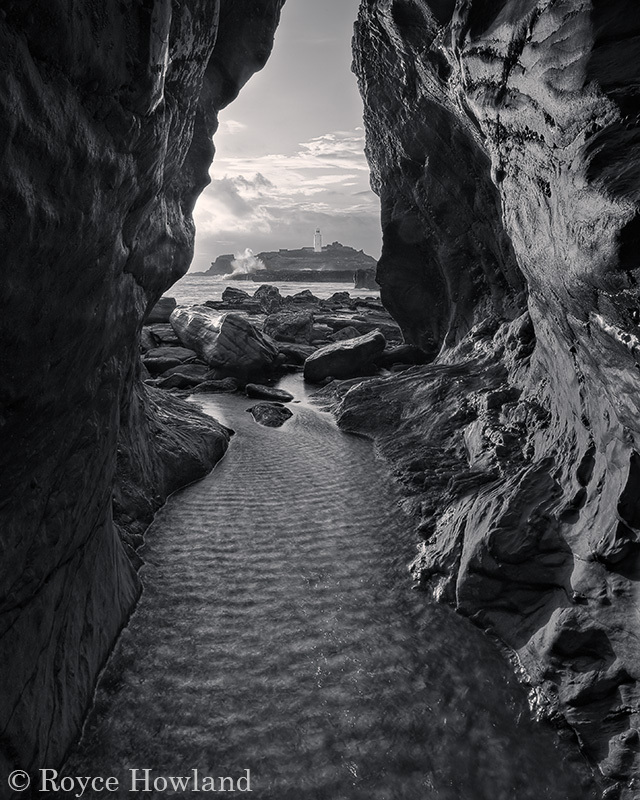 Many photographers have struggled with or not yet discovered how to make dynamic digital photo prints. If you’re looking for a crash-course on digital printing, join me in this intensive hands-on workshop. This event includes a 1 hour, 1-on-1 consultation with me after the workshop, on a printing topic of your choice. Sponsored by the Canon Image Square of Calgary. Saturday, November 9, 2013 — Advanced Printing Workshop. Do you want to take your digital printing to the next level of subtlety and impact? We will get into many details of colour fine art printing in this hands-on workshop. Join me and master printer Bill Peters. Sponsored by The Camera Store. Saturday, November 16, 2013 — Advanced Black and White Printing Workshop. Do you want to learn how to make black and white prints that really sing? We’ll present our ways of making it happen in this hands-on workshop. Join me and master printer Bill Peters. Sponsored by The Camera Store. Saturday, December 7, 2013 — Printing Basics Seminar. Thinking about buying a photo quality printer? Or do you have a printer and are wondering about how to make really good prints? Join me and master printer Bill Peters for an introduction to the ten keys to good digital prints. Sponsored by The Camera Store. I made this photograph during a trip to Peace River. 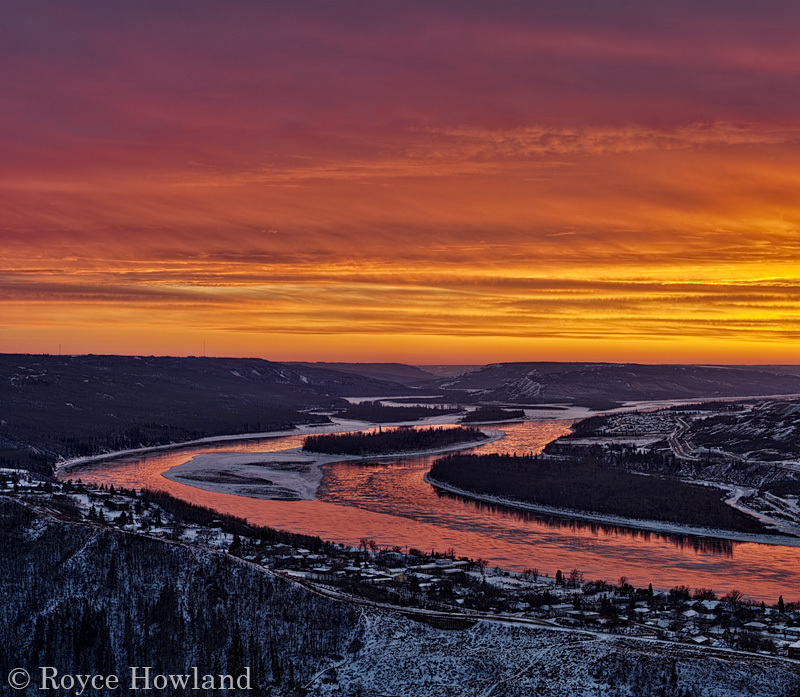 Showing a large canvas print of it at an artist talk, I got feedback from a Peace River resident that it seemed like a painting and was the best art of the river the person had ever seen. I have an ego like anyone, and that kind of comment is always gratifying. But it made me wonder, too… if I had shown only a small digital image on a monitor, instead of wondering if this was a painting would I have been more likely to get questions about how much I Photoshopped it? Prints mostly take the technology out of the discussion; I’d rather focus on the art. Great piece Royce! Talking to you recently about all of the possibilities, was eye-opening and refreshing. Thanks for taking the time, your respect for, and love of the printing process is contagious. You most certainly should! I think, subconsciously for a long time, I’ve had the digital equipment and process taking more of a ‘front seat’ in my approach to photography. It was at the expense of really, truly experiencing a photograph in a tangible space. Similar to what you said, when a finished print exists, it in a way, becomes a friend.